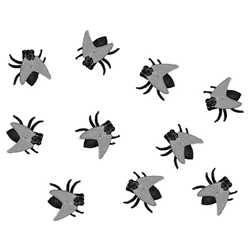 Creepy Flies. Pack of 12. Scatter them on the picnic blanket and wait for the screams!